HELP!!! Need to solve a Steemit SBD conversion mystery. Hey folks. I need your help. Well, actually, a good friend and relatively new Steemian, @maxinpower does. All SBD proceeds of this post will be transferred to his awesome account. About 4 days ago, @maxinpower converted 60 SBD to Steem. At that time SBD was hovering between 2 and 3 USD. The Steem price was around 1.50 USD (you can verify this at https://coincap.io). He should have at least gotten more than 60 Steem, right? @maxinpower is an active blogger bringing high-quality, bilingual German and English language posts to the platform, and I want to support his work. This mystery is a morale buster, and I want to know what is going on, personally, because it is bothering me, too. If you’ve got some skin in this game, too, please upvote and resteem so we can get this figured out, and also support @maxinpower’s work via this post’s SBD payout! SBD is a smart contract on the Steem blockchain. Contract says, that for 1 SBD you should get close to $1 value in Steem after 3.5 days. That is the simplest and more accurate way of putting it. So good to know this now. The steem blockchain always considers that one SBD equals one USD. It looks like at the time of the conversion the price of Steem was around 1.59 (60 divided by 37.641). More accurately it's the median of value of the Steem price feed that the witnesses feed to the blockchain. You should never convert SBD to Steem if the price of SBD is above 1 USD. It's better just to sell it on the internal market. Really? Wow. Can you show me an official reference stating this? I guess I'll have to re-read the white paper. The primary concern of Steem feed producers is to maintain a stable one-to-one conversion between SBD and the U.S. Dollar..
How is this done? There is only one price that is fed to the blockchain...the price of Steem. So the blockchain does not have a way of "knowing" what the market price of a SBD is. The code only takes into consideration the steem price feeds and there is a reason for it. The total supply of steem is 300 million. If the conversion of all Steem Dollars were to happen at the market price there wouldn't be enough steem to make the conversion. This makes sense as a possible explanation, but it must be explicitly stated somewhere. I’ll keep digging. So it seems Steemit.inc is holding on to the 1SBD = 1 US Dollar peg. Don't use your Steemit Wallet to get Steem, use Blocktrades. Or send your money to a coin exchange like Bittrex, where you can get the real deal of 12 Dollars!! I put out a little advice as a warning to avoid a bad deal, stay focus everyone!! @kafkanarchy84 - That is indeed intriguing! Since the SBD has shot up beyond 12 in those 2-3 days, if @maxinpower had used the market, he would have gotten possibly more than 100 Steem directly. Therefore, he really got a raw deal and something is wrong here if he only got 37 Steem! how to do this stuff! :-) Hope this helps! It's OK ... There is not going to be much difference .. stay invested..
We've already been through that step. That's what @maxinpower did. Conversion is done under assumption SBD is worth 1 USD, while Steem is worth more that 1 USD, that is why you got less Steem that you sold SBD. Don't convert, sell on internal market. To be honest, if that's the case, then that's an insanely big flaw in the system. And you have to wait 3.5 days... I don't even know why that option exists, it seems like an additional option to make a mistake and nothing more. Also, what would happen if whales would push the SBD price down to nothing. Let's mention an extreme, for example $0.01(if they can push it up to cost $18, then a fraction of a dollar is possible too). If that's the logic, then it would be possible, difficult but possible, to continuously convert 100 SBD to STEEM for the price of 1 SBD? I know this is a near-impossible scenario but SBD was below $1(~$0.85-$0.90) for quite a long time. Many are saying this, and I believe you, but where is this explicitly documented as being the official protocol? I only use the internal trade to convert SBD to Steem so I may be wrong, but that says "REQUEST" ....... whic means an order was placed.... but was it filled? if the price went out of range, then the "request" is not filled. If I'm correct, all you need to do is cancel the "request" and the SBD will "reappear" on your screen and you can resubmit a new request at the current price. His wallet history reads that the request was filled. OK, I'm not sure then. Hopefully someone has an answer for you. It looks like the conversion should have given double the amount of Steem as the amount of SBD (roughly speaking) seeing as, again roughly speaking, the cost was half. 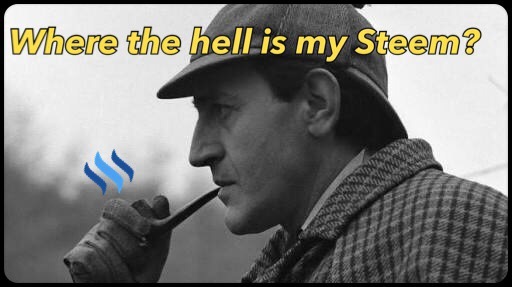 It appears to me as though INSTEAD, your friend received HALF the amount of Steem instead of double. My guess is somewhere in the algorythm or in the covnersion, something messed up the calculations and did everything backwards. Was this done with Blocktrades or directly in Steemit? I'm not sure which Discord chat can help, but I'm sure there is one for such bugs. I will resteem this, in the hopes that someone knows where you can make you "complaint", well your friend, so that he can be compensated with his missing Steem. It's weird how this happened, but it's clear to me the system did a whole backwards calculation thing and that is seriously messed up, man. Nothing was messed up everything worked as it's supposed to (see my initial response to the post). I see. Thanks for the information. It may indeed happen, but it is not correct. I had no idea this was going on. In the year and a half+ I've been here, I've heard this repeated over and over, but I guess it hasn't been repeated enough. If you convert while SBD are above $1 on the open market, you'll not only get less STEEM, but it could make the price move even higher by destroying SBD. Instead, choose 50/50 on all posts instead of 100% power up to create more SBD and sell the SBD you have on an exchange or the internal market. This happened once before (SBD skyrocketing in price) back in May which I talked about here. Right. We are wondering why this is happening, though. What is the official protocol for the conversion process? It is built right into the wallet. Why wouldn’t it follow the market price average? Why would it not be a good idea to use a feature built right into the wallet by the platform? @maxinpower simply used the convert to Steem feature built into the wallet. Well, that's a bit like asking, "Why would it not be a good idea to do X?" when X is a market-driven, dynamic, chaotic process which is uncontrolled by any authority. Just because a function does exist, doesn't mean it's always a good idea to use it. The last time the price spiked up like this in May, a warning was added to the convert window to let people know what's going on. It's not there now, unfortunately. People using the convert are still getting what the smart contract that is SBD guarantees (around a dollar worth of STEEM). The problem is they could get much more STEEM if they instead sell on the internal market or on an an exchange. Nothing was taken from them beyond what was promised, there's just a better approach they should become educated about. SBDs are debt based on a smart contract. The white paper and blue paper go into this in more detail. If people are using that functionality without understanding what it does, then that's their responsibility. I'm hopeful more people will be incentivized to take the time to learn about this stuff so they can benefit from it as I mentioned in the post I linked to in my last comment. Well, that's a bit like asking, "Why would it not be a good idea to do X?" when X is a market-driven, dynamic, chaotic process which is uncontrolled by any authority. Just because a function does exist, doesn't mean it's always a good idea to use it. Not really. I’m just asking what the actual math is behind the conversion process. Shouldn’t be a mystery. It’s numbers and there is a protocol. Pretty simple. SBDs are debt based on a smart contract. The white paper and blue paper go into this in more detail. If people are using that functionality without understanding what it does, then that's their responsibility. True. Never argued it wasn’t. Just very counterintuitive. Usually “convert” implies a somewhat proportional exchange rate based on a market price. It’s not irrational to expect that from an exchange mechanism. Thanks for clearing up the fact that it is a smart contract, though. It's $1 USD worth of STEEM per SBD. If SBD is trading above $1, that doesn't impact the contracts it still does $1 USD worth. That's the contract. That's important because it enables the peg if SBD ever go below $1 USD value. The convert process ensures upward pressure and arbitrage will bring the value back up as people sell STEEM for SBD and convert. Convert doesn't mean trade or sell at market rates. Thanks. That’s what I was wondering about. “Convert” usually implies getting the current market value of something to the average populace. If someone converts a coin on an exchange to another coin, they expect to basically get the current market value’s worth of the coins they are trading in the form of the other coins. This smart contract detail is in the white paper? I’ll have to read it again. It’s important to lay it out very clearly so folks don’t get burned like @maxinpower who understandably assumed if SBD is trading at X price, that is the value he will get for it in Steem. I understand about keeping the peg. Yes, the "conversion" option affords a little convenience; especially for those who can't or won't deal with the market. In short, the "conversion" option makes it unnecessary to go through the machinations of performing a market buy/sell order. But they pay dearly for that convenience; leaving themselves at the mercy of Steemit's dynamic internal formula for conversion rates. It's based on the average of price fluctuations over the course of the three and a half day "processing" (waiting) period (both of Steem and SBD) - REALLY bad news if their were drastic peaks and valleys. Then it becomes one of many inputs that affect Steemit's financial ecosystem - way too many variables to mention here, but the main ones being the fairly recent 104 weekly payments down to 13 weekly payments for Power Downs and the drastic decrease in the annual Steem inflation rate from 100% down to roughly 0.9% - please don't quote me on that figure). After all is said and done, mixed and remixed, the final "fair" (according to the current state of the ecosystem - which is now three and a half days after initial conversion request) is declared. If you want the market rates of Steem for SBD, sell the SBD on the market. Period. Otherwise, the three and a half day conversion will yield the best SBD-Steem rate that most benefits the platform and it [the platform] reaps the benefits of a three and a half day float (akin to the bank's so-called "processing times" from deposit, then posting and finally customer access - AKA: Fleecing the customer and retaining the gains garnered from the float of the customer's own money!). Hope that made things a little less fuzzy for you. This must be corrected to monitor the real value of SBD-Steem. Thank you for the information. That means it's better to put each post at 0, instead of 50/50 so I go to bitrex and buy Steem for SBD, then buy Steem Power? It is quite an interesting post! Does that mean that time lag brought profit and loss? What?